When Max was a high school senior, one of her best friends was strangled and another, Kevin O’Neal, accused of the crime. To the disgrace of her wealthy family, Max stood by her friend, until she found out he lied about his alibi. Though his guilt was never proven, their relationship crumbled from the strain of too many secrets. Now Max is home for Kevin’s funeral—after years of drug abuse, he committed suicide. She’s finally prepared to come to terms with the loss of his friendship, but she’s not prepared for Kevin’s sister to stubbornly insist that he didn’t kill himself. Or for an elderly couple to accost her at the airport, begging her to look into another murder at Max’s old high school. Max is more interested in the cold case at her alma mater than in digging around Kevin’s troubled life, but she agrees to do both. As Max uncovers dark secrets, she finds herself caught in a complicated web of lies that hit far too close to home. And it’s becoming increasingly clear that someone will do whatever it takes to make sure the truth stays buried. Maxine Revere is an investigative reporter who goes back home for the funeral of Kevin, her one time best friend who committed suicide. When they were in high school, Kevin was accused of killing their other best friend, Lindy. Although Kevin always maintained his innocence, Maxine and him grew apart and Kevin’s life was never the same. In a strange coincidence, a young man was also recently killed at the same site Lindy was found all those years ago. The grandparents of the young man asks for Maxine’s help in figuring out who murdered their grandson. Pretty soon Maxine is using her skills to investigate his murder. And even though she has no intentions of re-opening old wounds for her and all that were involved, Maxine is quickly drawn into also re-investigating Lindy’s death. 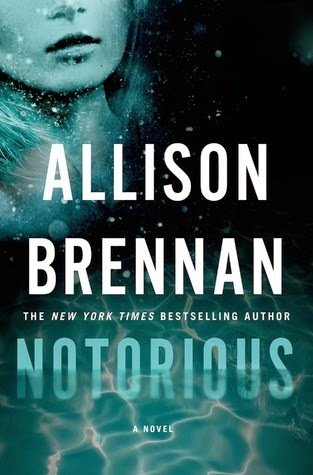 Allison Brennan does a great job of weaving these two storylines creating one great murder mystery. Many times the reader figures out who the killer is before the protagonist but Brennan does a great job of allowing the reader the pleasure of figuring out all the pieces of the puzzle at the same time as Maxine. The author also threw in some tidbits from Maxine’s past adventures that sounded very interested. I was looking forward to checking out these other books only to find out that this is the author’s first book introducing Maxine’s character. Given the excellent writing, I am definitely going to check out Brennan’s other books even if it doesn’t include Maxine Revere.